Many people take their calorie and cholesterol intake for granted, especially when they think they are too young to worry about such things. However, what they tend to overlook is that as early as the age of 20, young adults can become a target for heart disease. Studies from health experts across the globe, such as US-based National Heart, Lung, and Blood Institute, have shown that cholesterol levels among people 20 years old and above increase dramatically with lack of exercise and unhealthy diet. 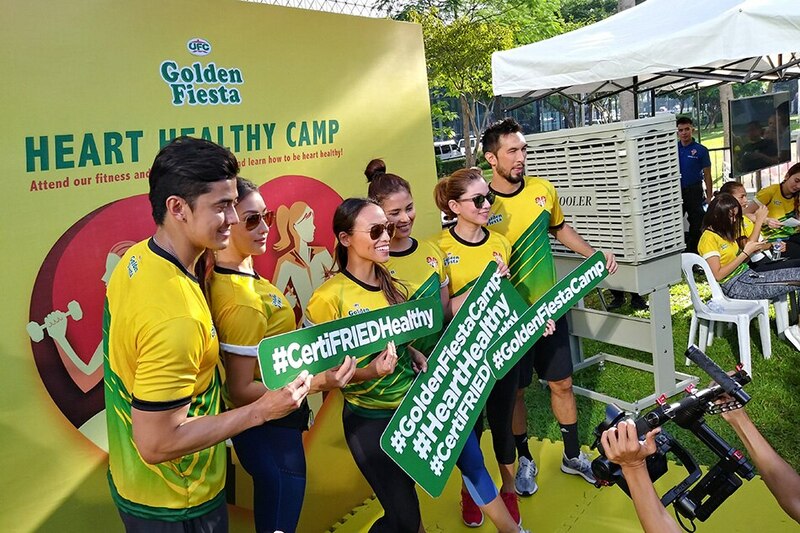 In order to help bring these issues to the limelight, "fitspirational" celebrities on Sunday engaged health buffs in a holistic fitness program during the second leg of Golden Fiesta's Heart Healthy Camp. 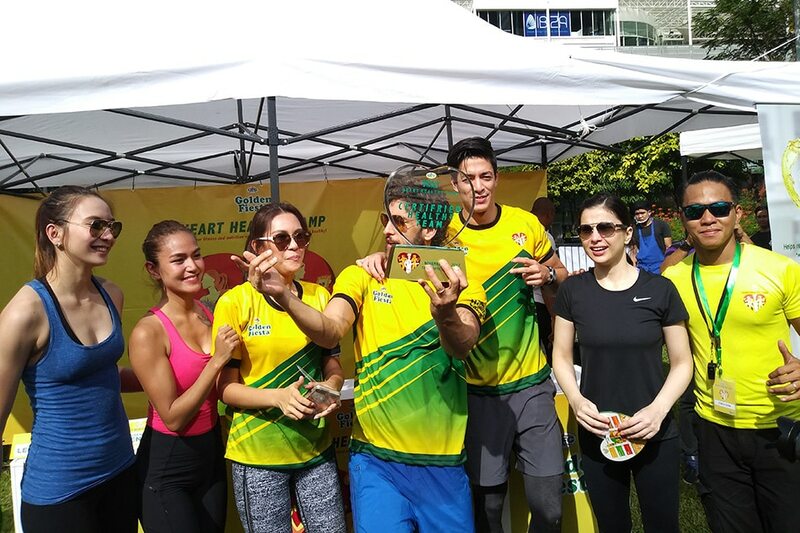 Held at Track 30th in Bonifacio Global City, Taguig, the camp allowed health buffs to sweat it out with their fitspirations for free. 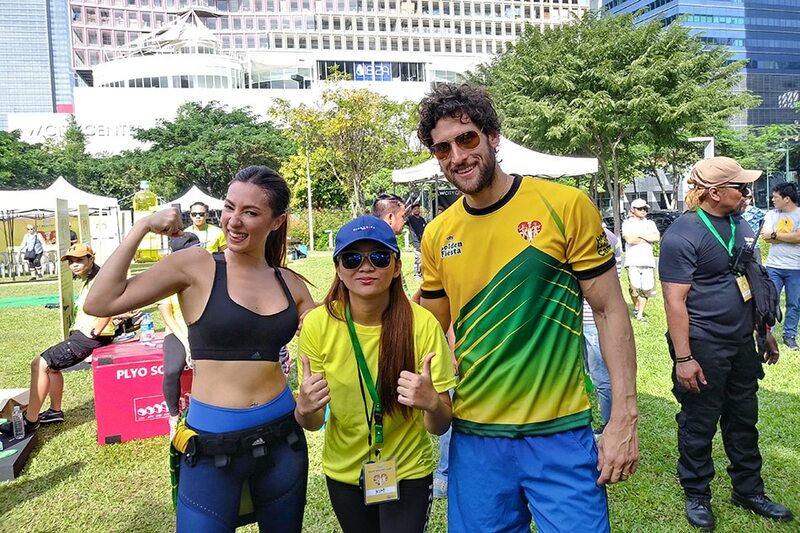 Power couple Solenn Heussaff and Nico Bolzico of the wildly popular "Hubby vs. Wifezilla" online videos brought their "feud" to the camp as they led fitness routines. 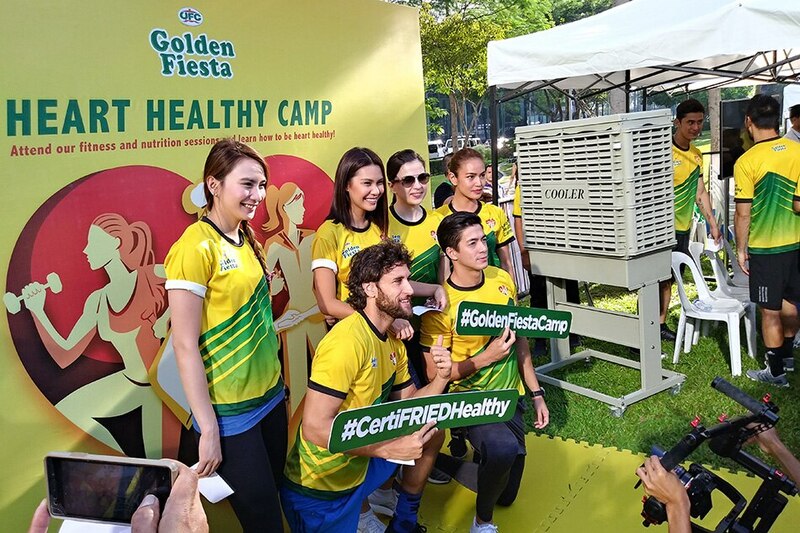 The Golden Fiesta Heart Healthy Camp was also graced by former Philippine Azkals player Anton del Rosario and his fiancée, fashion designer royalty Sam Richelle; Miss Earth 2015 Angelia Ong; Mr. World Philippines 2016 Sam Ajdani; volleyball superstar Rachel Daquis; actress Maricar de Mesa; Miss World Philippines 2015 Hillarie Parungao; model-mom Angel Jones; singer-actresses Ana Roces; and model June Macasaet. 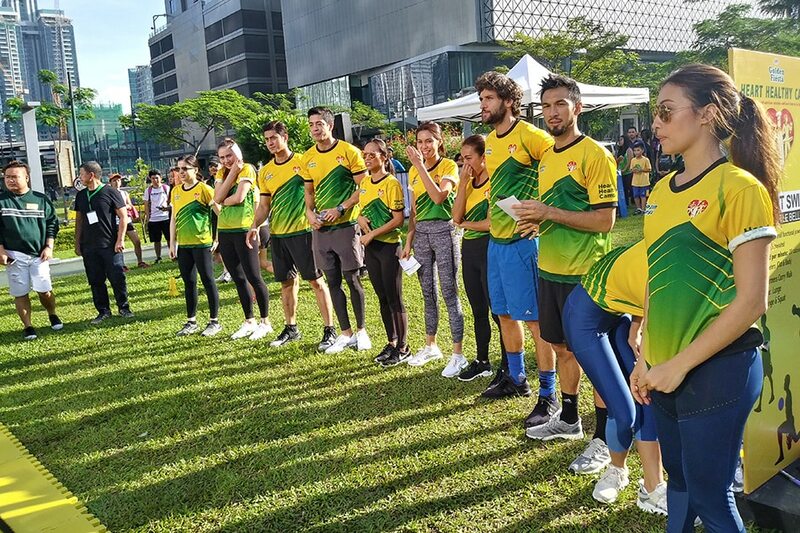 Celebrities were split into two groups—Team Solenn and Team Nico—and competed in circuit training at five different stations with beginner, intermediate, and advanced level tracks. Team Nico won the challenge with the most repetitions of circuit training sets in 10 minutes. 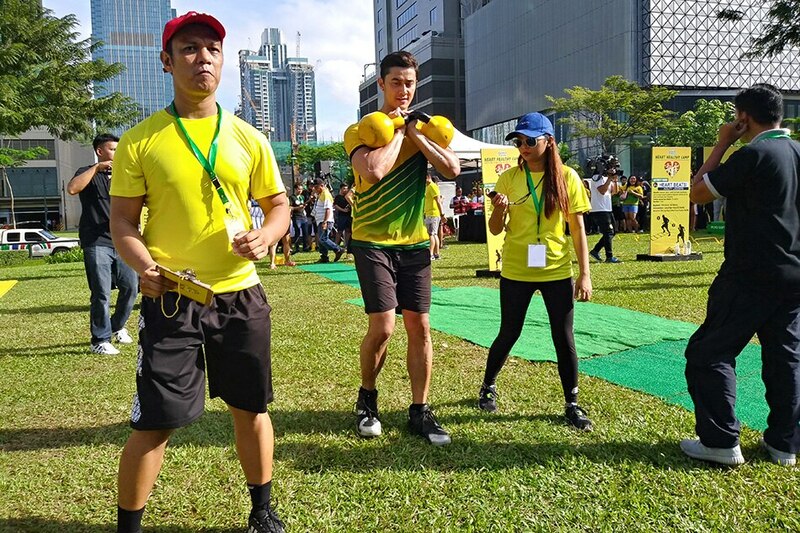 Among the exercise sets included heart pumping plyometric box jumps, low hurdles, agility ladders, fitness bands, kettlebells, and battle ropes. 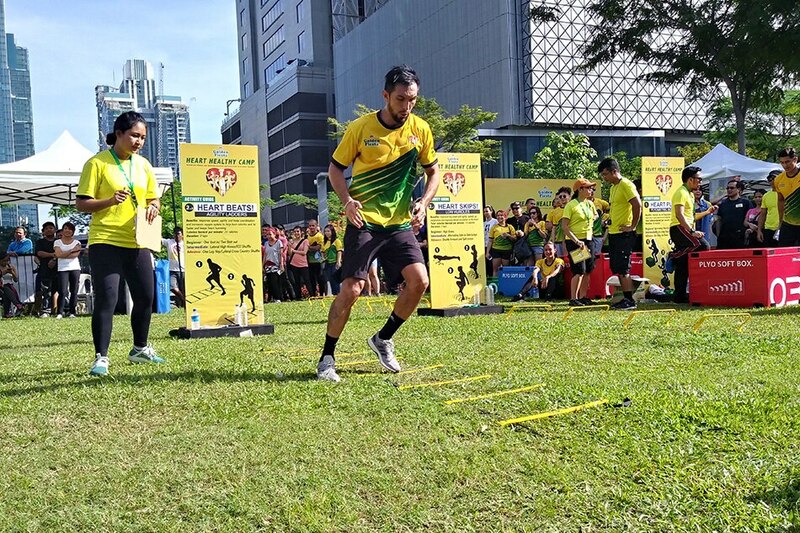 Participants also joined the workout activities with the assistance of professional coaches and trainers that focused on burning calories and improving heart circulation. 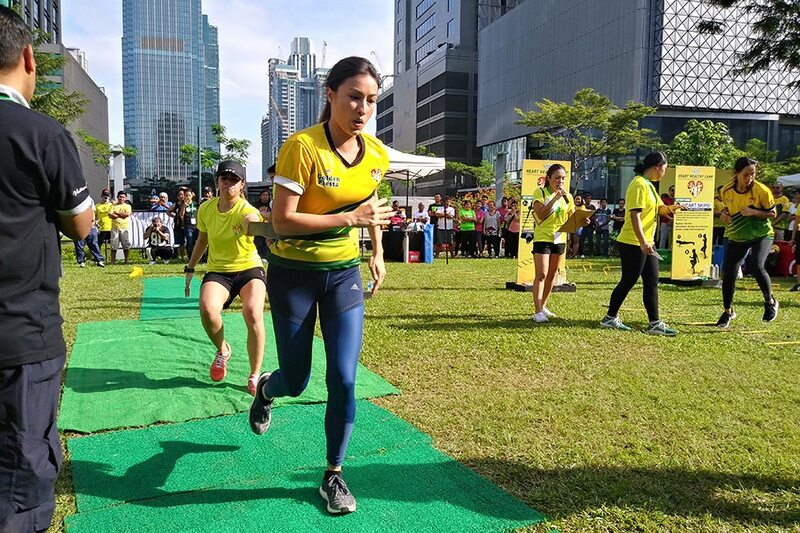 During the event, celebrity mom Ana Roces also shared her secret to maintaining a fit body. She said it's not all about regular exercise or strict diet plans--it's also important to moderate food intake, and develop good habits such as eating balanced meals. 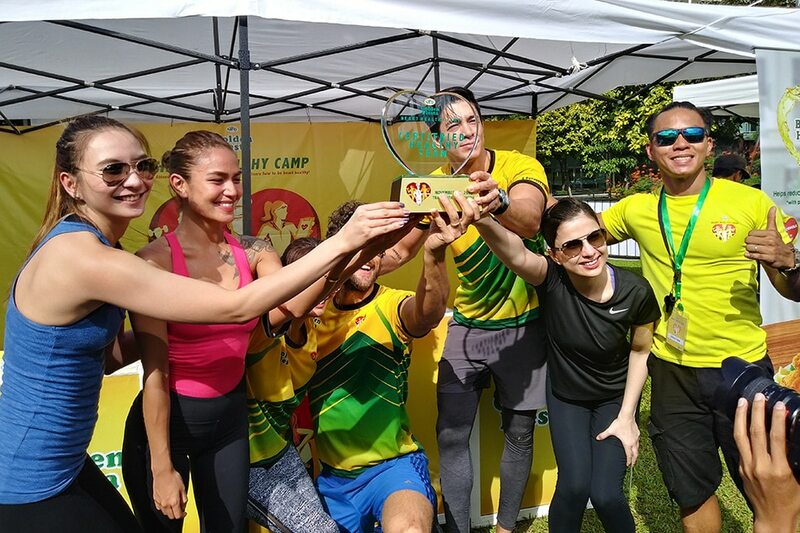 Celebrity chef and fitness buff Jose Sarasola backed this up with some simple recipe tips shared during a cooking demo session during the second part of the healthy camp program. 1. Start with a cold pan. Lay out bacon strips on the pan before turning up the heat. Put a small amount of Golden Fiesta Canola Oil to cook the bacon. When done, cut into bits. 2. Prepare a plate with fresh lettuce. 3. Pour a little bit of Locally Guyabano Blended Juice Drink, and the Guyabano Vinaigrette. 4. Garnish the plate with mango or peach slices. 5. Sprinkle bacon bits on the top. A good rule of thumb when using veggies, Sarasola said, is to have a good mix of colors, for better taste and nutrition. 1. In a freezer bag or large bowl, mix the chicken with lemongrass, salt, ground black pepper, ginger, garlic, brown sugar, vinegar, lemon-lime soda, and lemon juice. 2. Mix or stir everything until every ingredient is well incorporated. 3. Marinate overnight. 4. Start grilling the chicken while basting it with a generous amount of Golden Fiesta Canola Oil. 5. Transfer the grilled chicken to a serving plate. 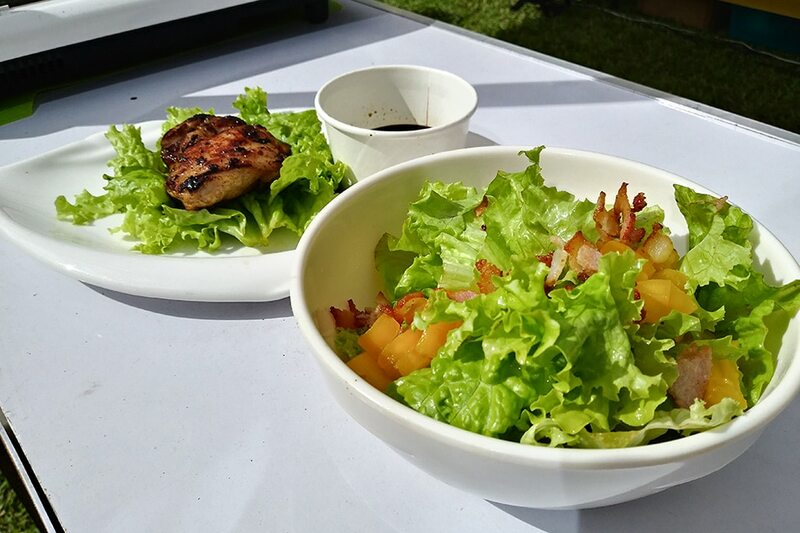 With these dishes, Chef Jose made sure to use Golden Fiesta Canola Oil, which according to registered nutritionist and dietician Fia Batua is rich in phytosterols. Fia explained, phytosterols are compounds found in all-natural plants that can help reduce cholesterol in the body by as much as 15 percent and lessen risk of cardiovascular diseases. Since Filipinos are fond of eating, especially fried and grilled meat, the use of Golden Fiesta Canola Oil for just about any cooking method (frying, grilling, sauteing, or baking) is highly recommended by Chef Jose and nutritionist Fia. 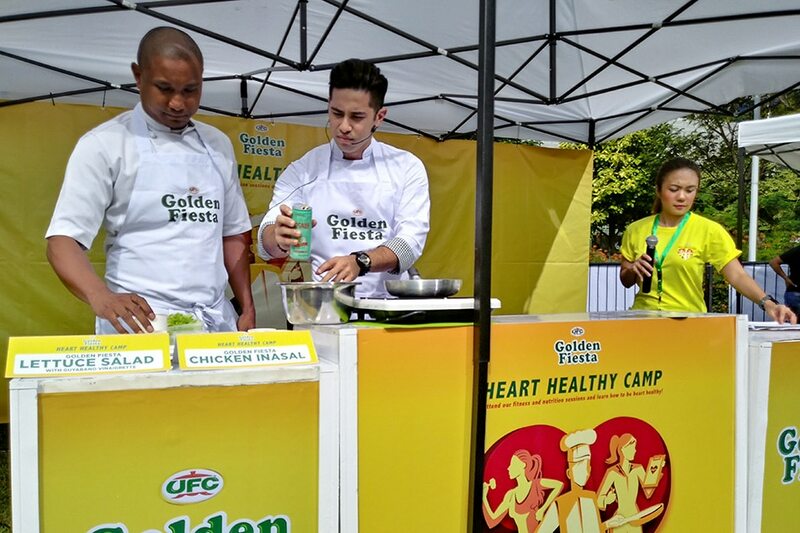 The next Golden Fiesta Heart Healthy Camp will be held at Eton Centris Walk in Quezon City on December 3, Sunday. Check out Golden Fiesta's official Facebook page for more updates, upcoming event dates, and information on heart-healthy cooking.